The annual Cherry Days Festival brought hot temperatures and more visitors. July has been a busy month here at High Country News. While some staff members have begun to pack their belongings for the move to Gunnison, Colorado, where we are setting up an experimental satellite office, others have spent the month attending conferences and speaking engagements around the country. In the midst of all that hustle and bustle, we’ve had the pleasure of welcoming a new intern to the team. A graduate of Yale University, Elena Saavedra Buckley comes to HCN with a degree in humanities and a penchant for long-form journalism. The Albuquerque native first tapped into her creative muse for a classical music blog she started in high school, which eventually led to an internship at NPR. 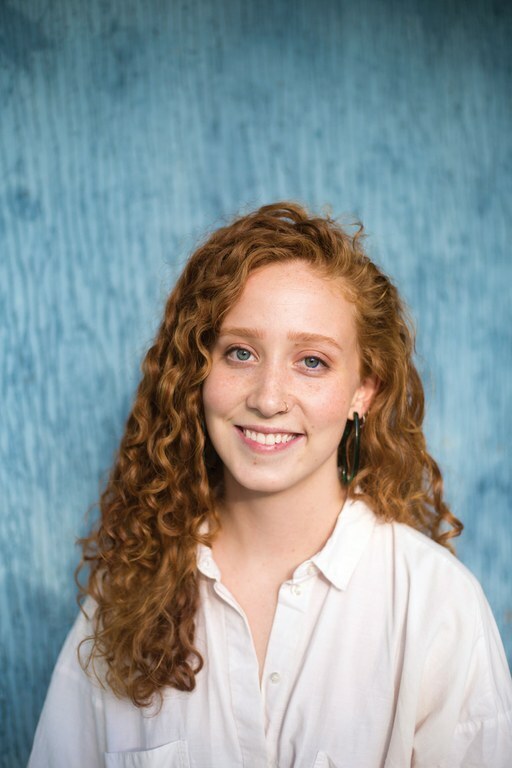 At Yale, her passion for journalism led her to serve as the editor-in-chief for The New Journal, the school’s creative nonfiction magazine, where, she says, many weekends were spent laying out the pages in her college apartment. Intern Elena Saavedra Buckley, the newest addition to our editorial staff. At HCN, Elena says she hopes to craft stories about the West’s changing dynamics and “how people are experiencing climate change in more localized ways.” In college, for example, she focused her thesis on a small town in New Mexico that was transformed into an anti-terrorism facility, an experience that has her itching to write about how militarization has impacted communities across the West. Meanwhile, HCN editors Tristan Ahtone, Graham Brewer, Ruxandra Guidi, Kate Schimel, Anna Smith and editorial fellow Jessica Kutz attended the 2018 joint conference of the National Association of Hispanic Journalists and the Native American Journalists Association in Miami. There, Tristan was re-elected to the NAJA board of directors, and will be serving alongside Graham and Bryan Pollard, who was re-elected as president of the association and serves as a member of HCN’s board of directors, as well. Back at our headquarters, in Paonia, Colorado, we have greeted a number of visitors. Stephanie Thliveris from Doylestown, Pennsylvania, and her niece, Lyndsey Kirchner, from New Orleans, took a break from picking cherries at their family’s annual Berg harvest and get-together. The various Berg relatives gather in Paonia each summer to help out on the orchard, which has been in the family since the 1940s. Stephanie’s Buckingham Friends School is part of the HCNU program, which delivers free magazines to classrooms, and she’s hoping to connect with other educators to learn how they use HCN in their classrooms. Finally, we have one correction to make. Our cover story “Little Weed, Big Problem,” (HCN, 6/25/18), incorrectly stated that GMO creeping bentgrass escaped from test fields during an August 2013 windstorm. It was actually a 2003 windstorm. We regret the error.